Home/Annoucements, Miscellaneous/Reflective Marker Update – Wow – Thank you! We’d like to send a big “Thank you” to everybody who has ordered a reflective marker … and when I say everybody, there has been multiple dozen requests! (Our volunteer who constructs them will be very busy! 🙂 ) We’ve had requests for reflective markers from all over the canyon. 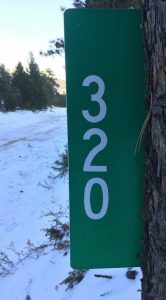 It is quite a relief to drive up to the property (having navigated using our maps / directions) and then come upon a reflective marker on the driveway, and know for certain you’ve arrived at the right driveway, and can proceed in. We memorize most streets up here (since we live and respond up here) but we cannot memorize all addresses on those streets. 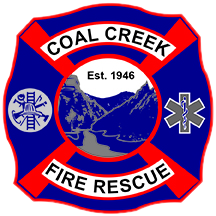 Reflective markers remove the stress of struggling to find a patient in critical need, and allow us to focus on providing care. That is a very good thing. You know your street, is it darker and more confusing at night? You know your driveway, is it one of many? You know your entrance, is it less than obvious? Do visitors find it hard to find your place without you greeting them? If you answered yes to any of these you likely need a reflective marker more than most. What has perhaps made it easier for more Canyonites to get their reflective marker is that the form is printed and available in the March 2019 Mountain Messenger, ready to be filled in and mailed. Also, the sale price remains available to the end of March. You can find the information and request form on pages 20 and 21 of your March 2019 Mountain Messenger.